Does Sprint Booster work? Does it not work? The 6speed members and customers say YES. But don't listen to us. Listen to what they've said. Read through to understand Sprint Booster V3 products. Sprint Booster is a small module that plugs in between the ETC and the wiring harness. It improves the throttle response time, eliminating lag between you moving the gas pedal and the power train. Note: THIS DOES NOT GIVE YOU MORE POWER. Also: This is not the same as taking your Porsche into a shop and getting a "tune-up"
This is a more affordable alternative to add a BETTER AND MORE RESPONSIVE FEELING in your driving experience. Your Porsche is already fast. How about adding something to make it even more enjoyable to drive... Just saying. Some could be thinking "why would I need that for my Porsche" or "my Porsche doesn't have any throttle lag" or "this sounds like a bunch of BS." And we understand why you'd think that. The market is saturated with products that advertise to do something, and they don't do it at all. So why trust anything companies and brands say. Well you don't have to. 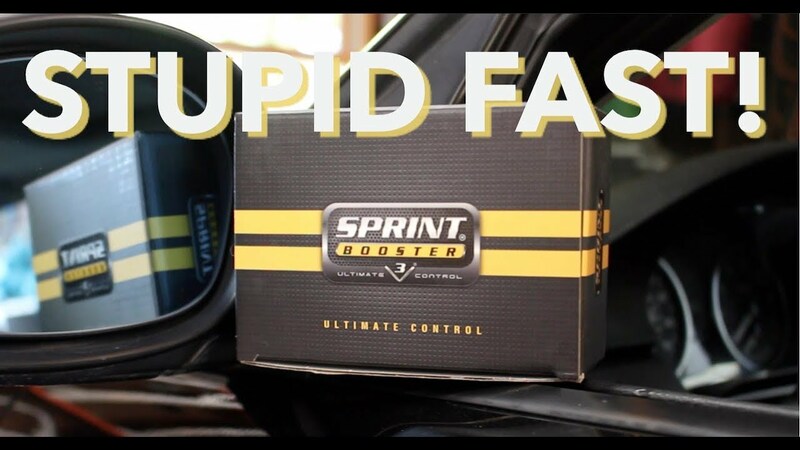 Because our reviews on our website and on 6speedonline about how Sprint Booster enhanced the customers driving experience is enough for us to know that Sprint Booster works EXACTLY as advertised. We trust that Sprint Booster customers in these forums have posted their honest opinion about their experience using a Sprint Booster. We even trust this guy!Read what he said about the Sprint Booster. May we ask what was the problem with your Sprint Booster? nothing was "wrong". it worked as advertised. but it "mimics" increased throttle response, when in fact, it "increases" nothing. it's "gimmicky" and my tuned ecu and modded car didn't like it. much. BUT for one negative response there's always MANY positive reviews. "I met up with Bobby Buggs in Naples, FL today and drove his Panamera 4S. He has added the Armytrix exhaust which brings the exhaust sound to another level, it can be driven mild, barely louder than stock.....OR wild, nice and loud but throaty as you rev it. Now on to the Sprint Booster, in Sport it is plenty responsive and wakes up the throttle as others have mentioned, it does remove the lag making the driving experience way more sports-like. In Track setting (or the highest setting) the throttle is tons of fun, for sure this thing works! Half throttle feels like full pedal to the metal. For less than $300 seems like the way to go, the combination of the exhaust and the Sprint Booster make the Panny a different animal." So maybe the Sprint Booster can seem "gimmicky" to few. But it can also be "tons of fun" and "the way to go" for most others. But one great comment like that isn't going to convince you that a Sprint Booster is for you, right? we've created a page: Sprint Boosters For Porsche. Boost leaks and boost level readings? Stock boost vs. Chipped boost on an X50 911T, problem? Quick Reply: Time for a boost!